The United Nations posts job openings electronically on the United Nations Careers Portal (http://careers.un.org) and only accepts applications to job openings electronically via this process. When applying to a job opening, be sure to submit your application well before the deadline date stated in the job opening as Job openings posted on the Careers Portal are taken off at midnight (GMT-5) on the deadline date. Once you apply to a job opening, your application will go through a pre-screening process. The process checks the information you entered in your application against the eligibility criteria established for that job opening. Applicants who pass the pre-screening process are eligible for further consideration. You may search the compendium for available positions and/or create a Job Alert, which allows you the save specific criteria about the type of position you are looking for and receive a notification (via e-mail) when positions that match your criteria are posted. 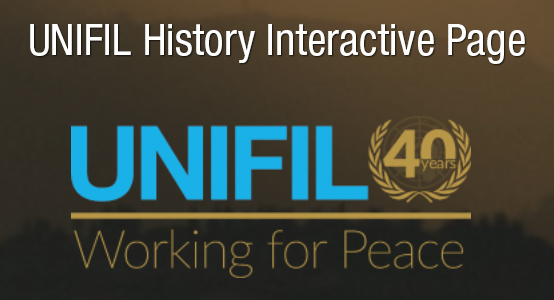 As of 1 January 2017, National positions in UNIFIL will be advertised using Inspira platform. PHP and relevant supporting documents shall be submitted electronically using Inpira platform by the deadline in the job opening. Paper based applications submitted through emails will no longer be receivable. Preference will be given to equally qualified women candidates. UNIFIL does not charge a fee at any stage of the recruitment process (application, interview meeting, processing, training or any other fees). The United Nations Interim Force in Lebanon (UNIFIL) maintains a roster of qualified and available candidates to fill as needed upcoming Individual Contractor (IC) positions within the mission. 1. Complete fully and sign an application form (P.11) in English. In your P11, please ensure that details related to your Education and work experience are included, and specify your preferred field of work. You may upload a P11 form using this link (Download P11). Deposit your application in the designated collection box at UNIFIL Headquarters Force Commander’s Gate. - Incomplete P11 application will not be considered. - Submission of a P11 application does not guarantee selection for an Individual Contractor position in UNIFIL. - UNIFIL does not charge a fee at any stage of the recruitment process (application, interview meeting, processing, or any other fees).